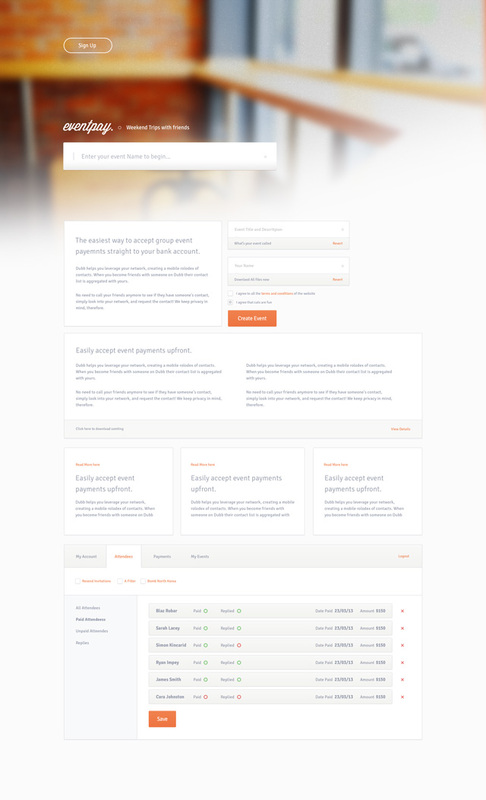 Today’s free psd is a web app called ‘EventPay’ – Startup website psd template. It’s based on a cool idea to pay for small events you or friends are attending. It’s a modern online startup template with fresh colours and responsive. Hope you enjoy it as much as I did putting it together! Download this Startup website psd template and be….well…awesome!